Mooyah, headquartered in Plano, Texas, is a fast casual restaurant chain. 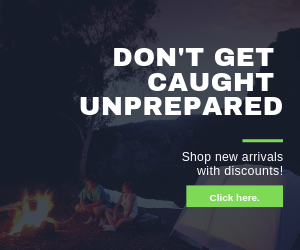 The company was first founded back in 2007, and they quickly expanded throughout North America and globally over the past few years. Mooyah is known for the use of Angus Beef patties as well as cooking their fries for 24 hours. Other than hamburgers and fries, they specialize in shakes. The Mooyah survey is a chance for the company to give back to their customers in exchange for valuable feedback. They reward customers with an entry into a sweepstakes. When you take the survey, you will encounter standard survey-related questions such as rating your satisfaction. To complete the Mooyah survey, you will need a stable internet connection as well as an invoice number and survey code sent to you from Mooyah. You must have an understanding of English as the survey is not available in any other language. If you do not wish to complete the online survey and simply want to be a part of the sweepstakes, then an invitation is not needed. Non-survey sweepstakes method: On a 3″ x 5″ card, place your name, address, phone, email, and age. Mail to Mooyah Customer Survey Sweeps, 6865 Windcrest Drive, Suite 400, Plano, TX 75024. To take the online survey, visit the official website for the Mooyah Guest Questionnaire. Enter the exact date of your recent visit to the restaurant. You will be told to enter the invoice number as well as the survey code. From there, answer questions related to your recent visit to the restaurant. By the end, you have the option to leave additional feedback that the survey questions did not cover. If you want to participate in the sweepstakes, enter your personal contact information. Mooyah has an official website where you can locate them, read up on their menu, order online, and catch up on any recent company news. 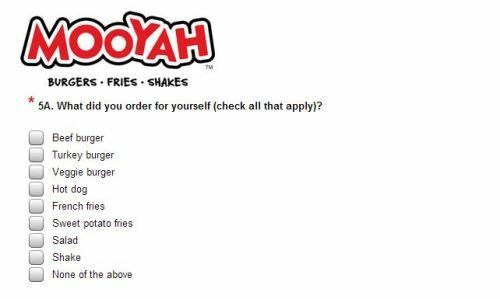 The Mooyah survey, however, is found on its own website. When you complete the survey, you get the chance to be entered into their sweepstakes. The reward is “Free Mooyah for a Year”, which translates into a gift card that is worth $300. In order to participate in this survey, you must be a legal U.S. resident from one of 49 states (not Florida) and DC. You must be 18-years-old or older, and you can’t be an employee, their family member, or household member. To understand Mooyah hours of operation, it is best that you check with your local restaurant as some locations can differ from each other. For instance, some restaurants run daily 11AM – 9PM, while others can run daily 11AM – 10PM. Mooyah runs over 100 restaurants throughout 20 U.S. states and in nine other countries. They can be found in areas in North America and the Middle East. To find a Mooyah restaurant near you, you can use the search function on their store locator. If you are interested in contacting Mooyah beyond filling out the Mooyah survey, you can do so online through a number of ways. To start, you can complete the Feedback Form and someone may get back with you. Additional means of reaching out to them can be done through the following social media websites: Facebook, Twitter, Instagram, and LinkedIn. Beyond using online methods to reach out to Mooyah, you can find the phone number for your local restaurant and call them as well.